• The Carpenter 455 Forged Face Cup helps create higher ball speeds all across the face to get the distance you’re looking for. The same face cup technology used in our fairway woods and hybrids to help the face flex more consistently. 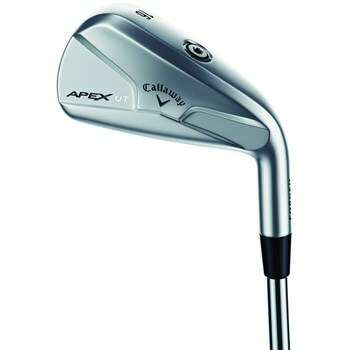 • The sole weighting lowers the CG so that these utility irons are easier to hit and easier to launch. • Hollow Body Construction to increase forgiveness in a traditional long iron shape.